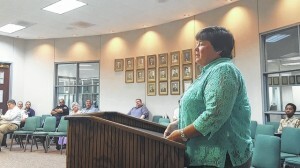 Newberry City Council held a first reading to annex two land parcels in the Oakland Mill community into the city at their meeting Tuesday night. The parcels, located specifically between S.C. 121 and Fair Avenue, represent the site of incoming business ThermaFlo Inc., which is owned by Newberry College alumni Bob James and is expected to begin operations here later this year. DeWitt reported James was also considering Chester for relocation but after analyzing the offerings of both municipalities decided Newberry was best suited for the needs of his company. A motion to approve the first reading was made by Councilman Lemont Glasgow and seconded by Councilman Thomas Boyd with all in favor. Additionally a main entrance will be added on S.C. 121 so that an expected increase in traffic will not affect the existing community. Thermaflo Inc. was founded in 1986 and manufactures industrial steam and fluid systems. Fifteen to 20 of the company’s current employees are expected to relocate to Newberry with several additional positions to be sought.